Welcome ToThe Info Page On Cyberpsycho!! Well, hopefully you have surfed my amazing page(s) and now you want to know a little about the master mind behind it all. Well you've come to the right place! I'm a sophomore at W.T. Woodson High-School, and am a member of the Marching Band (Bass Drum Capt. ), and Concert Band II (percussionist). I'm also a drummer here at home, and have been playing for about 6 years. 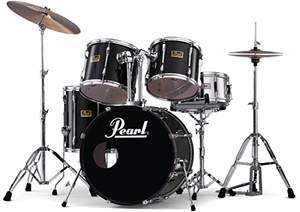 I have a black Pearl Export set, click here to see it, as well as MANY other peices of equipment ranging from roto-toms, to bongos. I am currently in 3 rock bands, and one "orchestrial compalation" which contains violins, a piano, acoustic guitar, etc. I have a younger brother, a dog, and a guinea pig (actually my brothers but I take better care of it than he does). 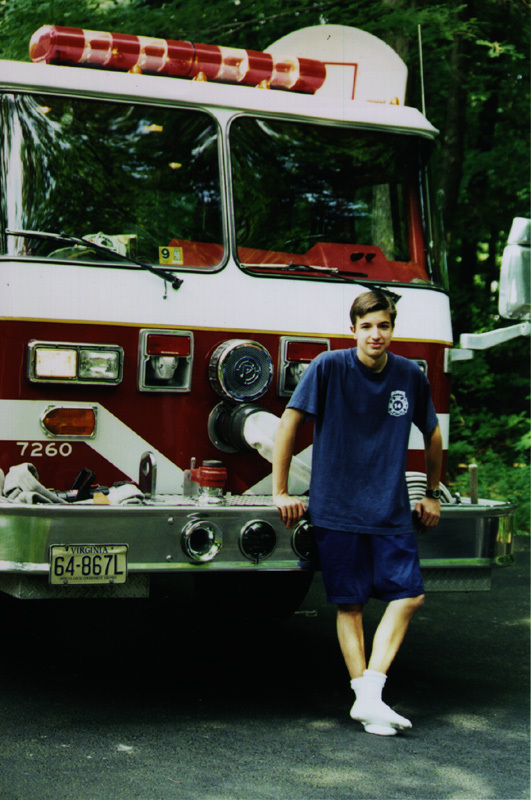 I'm sure you're wondering how I became interested in the Fire Department. No one in my family, has ever been in the department, and I only had one friend in the department before I joined. So I wasn't a fire department "brat" that had a dad as a captian or a mom as an EMT. How I entered the dept. is actually a fairly long story. Four years ago, in 8th grade, we had to do a mandatory 10 hours of community service. Now at the time my grandmother was about 96 years old, and very sick with demensia. I was always incredibly close to my grandmother, and seeing her this sick was very hard for me. She lived about 15-20 minutes down the road in her own home, but she had 'round the clock live-in care. Therefore, I really didn't want to go and volunteer at a nursing home, or a homeless shelter, because I would constantly be reminded of my grandmother's illnesses. There is a fire station near my house, and I figured that this would be a cool place to hang out for ten hours. I'll mop the floors, wash the trucks, impress the good looking girls, sounds like fun! So I went down to the station and met the guys on "B" shift. I went down for my first two hours, and didnt think it was horrible. I dont remember the guys getting a call the first time I was there, but it was a while ago. Anyway, while I was there, I started making friends with all the guys. Pretty cool group of people. After my fifth hour or so, the guys invited me to stay for dinner, then play baseball outside, and we really started to become good friends. I enjoyed going down to the station, and hanging out with the guys. One night, about 10 o'clock, we got a call at our home. It was my grandmother's care-taker. She was panicked and crying. I was already in bed, but that didnt last for long. I heard my mom and dad scream when they heard the care-taker tell them that my grandmother was having a heart attack. I got my shoes on as fast as possible, and jumped in the car with my mom. My dad said that he'd bring my little brother in a few minutes. Needless to say, we went well over the speed limit, and paid no attention to stop signs or traffic lights. We got there in a few minutes, and the fire trucks and ambulances were already outside. I didnt even notice that it was a "B" shift night. The guys were on at the station. I ran in with my mom, and when we opened the door I saw a sight I'll never forget, my grand mother laying on the ground, tubes sticking out of her arms and mouth, and all the guys from "B" shift huddled around her, giving her CPR on the floor of her apartment. The same floor I used to play with my baby toys on, and celebrate Christmas every year with my grandma. I looked into the eyes of the men who I had become friends with. They all looked up at me. The earth stood still. They tried for about 45 minutes to bring her back, most probably because they felt a semi-personal connection to my grandma, through me. She was pronounced DOA both when the medics arrived at her home, and at the hospital. She did die, despite the best efforts of the rescue dept. and the ER, but it was then that I realized something. Fire Fighters are more than guys on flashy red trucks who run into burning buildings and cut off roofs of cars at accidents, they are true, amazing heroes. This is a group of 10 guys, who got out of bed, in the middle of the night, to get on a big truck, speed down the highway, get down on the floor and do everything they possibly can to save a total stranger. Someone who they've never met before, and chances are, they'll never meet again. This just simply grabbed me and I said to my self, "Brad, you can do this. You like to help people, you like to make a difference, and all the women like men in uniform. Maybe you should sign up." Well, here I am today. Doing everything I can to help others in need, and trying my best to be one of those amazing heroes who risk thier lives, to save others. Last updated 4/5/99 at 5:53 p.m.